Swimsuit season. I said it. The most dreaded outfit picking experience that every girl has. Every year. Without fail. Just finding a cute suit that is flattering is hard enough, but add in modesty?! Ugh. The struggle is real. But don’t you worry ladies! 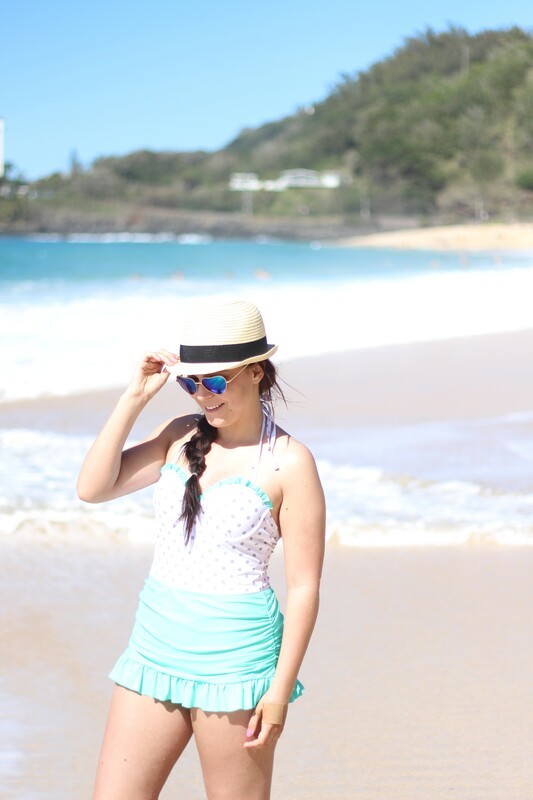 I’ve been on the hunt all spring to find you some ADORBS modest swimsuits! Look no further! 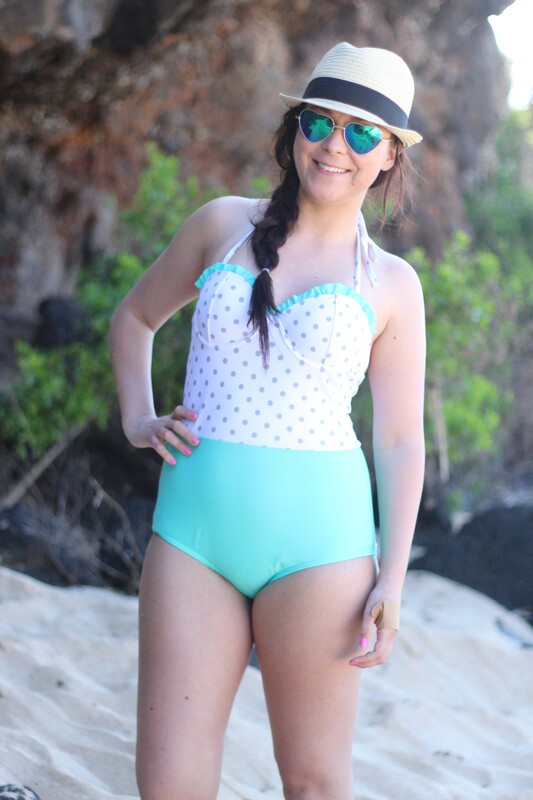 The suit I’m featuring today is from Rad Swim. And can I just say, I’m pretty sure I squealed the first time I saw this suit. 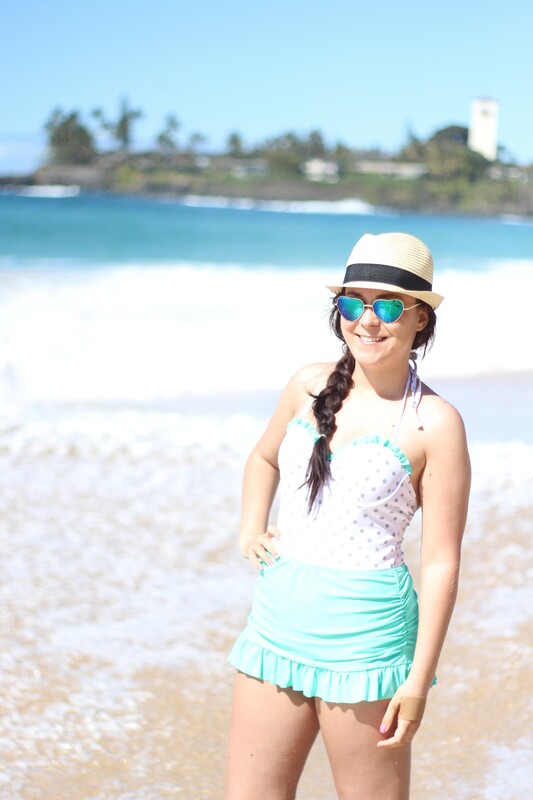 It has all of my favorite things- polka dots, ruffles, mint…. I mean really. This suit is perfect. And, to top it off, it has the cutest removable skirt if you’re looking for even more coverage. You know how one piece suits can be uncomfortable sometimes? Tugging and pulling in all the wrong, awkward places? Well, that didn’t happen with this suit. I didn’t feel like my torso was too long, or that i was “falling out” in any unwanted places. The suit was fully lined and padded, and so comfortable to wear. Finding a modest one piece swimsuit like this is difficult. So, you’re welcome for doing all the work for you. Ha. Enough blabbing- here are the pics! Hope you fall in love with this suit as much as I did! 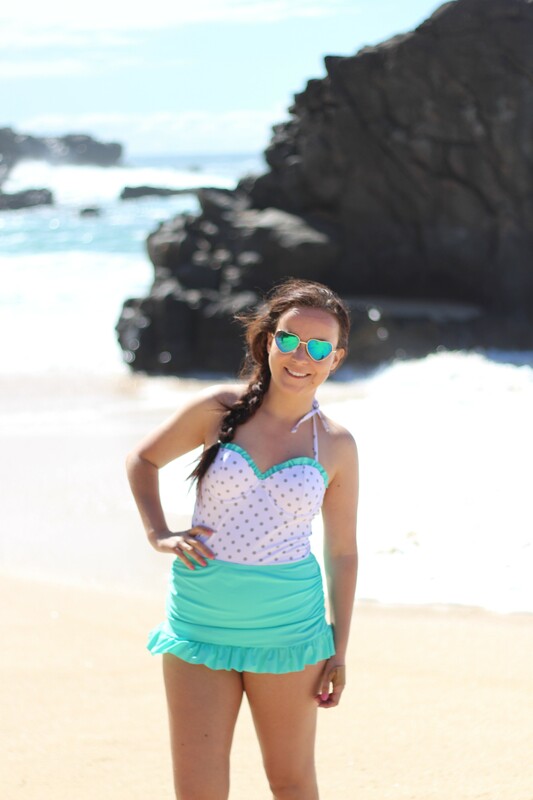 Hope you love this look from Rad Swim! Keep your eyes peeled for more cute, modest swimsuits to come!! Check out Part Two in this series!